Your kitchen can be a greasy environment, leaving residue on appliances, counters, and cabinets. 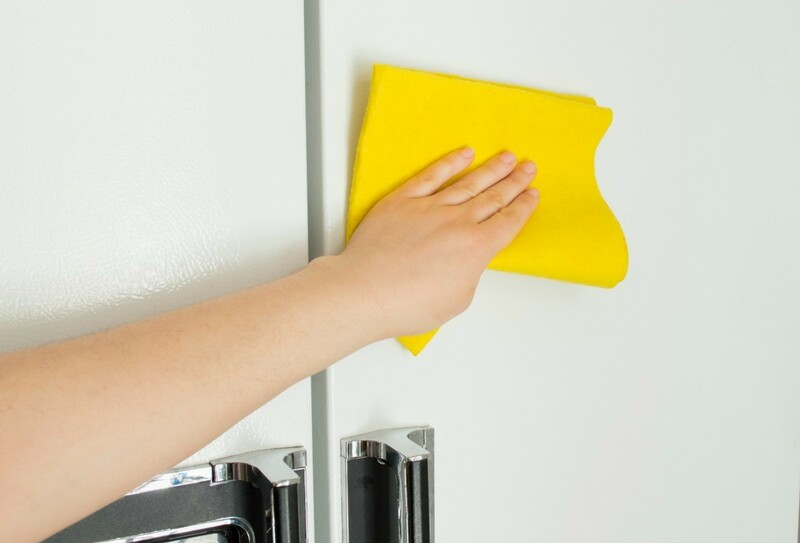 This is a guide about cleaning grease off a refrigerator. How do I get grease off a black refrigerator? I've had good luck with rubbing alcohol. Some elbow grease is sometimes necessary, or leave the alcohol-soaked paper towel on the spot for a while & let it work its magic. It usually completes clear the grease. Disinfects it as well & dries cleanly & quickly.